You can download The Fourth Age: Total War - The Dominion of Men unit browser (all credit to Tyblitz of TWCenter.net) from this page. Just download the zip file, unzip it, and open the index.html. The browser lists factional units only. 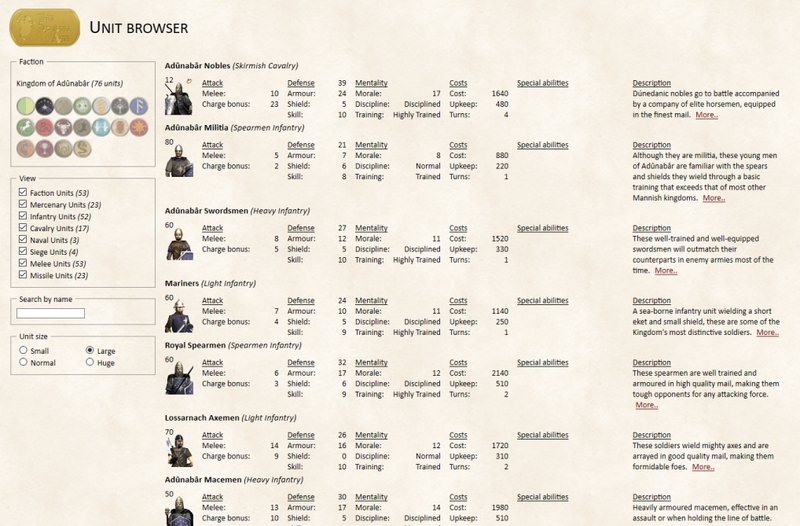 Note that this browser is accurate as of the 3.0 version of the modification only.